The craft gin market enjoyed a huge boom in South Africa a few years ago and the excitement around this spirit doesn’t seem to be dying down any time soon. With each month comes a brand new ‘ginnovation’, offering South African gin lovers something new to savour. By now we’ve seemingly seen it all; rooibos gin, buchu gin, chocolate gin… but gin made by elephants? Now that is indeed something different. 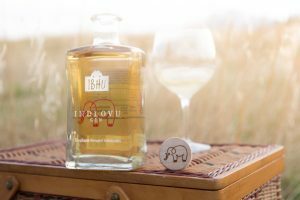 The world’s very first gin made from elephant dung, Indlovu Gin is gearing up to take the craft gin world by storm. Using animal dung to craft food products isn’t exactly new; similar products already on the market include the likes of Kopi Luwak coffee and Panda Dung green tea but this is the first time the African elephant has been thrown into the mix. By using the dung of the African elephant, Indlovu Gin turns elephants into botanical foraging machines, resulting in a one of a kind, African gin. Created by Dr. Les Ansley and Professor Paula Ansley, this experimental spirit is sure to excite even the most traditional of gin drinkers. 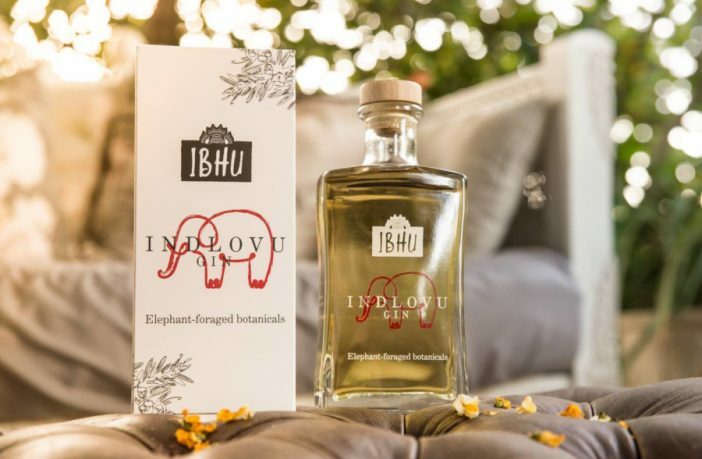 In an incredibly crowded craft gin market, Indlovu Gin differentiates itself by using extracted and cleansed botanicals from the dung of elephants for infusion. While elephants graze continuously throughout the day, only a small percentage of what they consume is actually digested and thus the elephants dung is a gold mind for anyone looking for a highly effective forager that doesn’t require medical benefits. Elephant dung is already known to have remarkable healing properties and is brewed in the form of a tea in some parts of Africa due to the wide variety of fruit and plants consumed by elephants throughout the day. This very same vegetation adds woody, earthy flavours to the gin, which is a crystal clear golden colour. Gin lovers sipping on Indlovu Gin for the first time can expect to discover aromas of juniper, citrus, grass and earth, and flavours of Angelica, citrus, earth and spice. And the best bit? Drinking this gin will do wonders for the environment too as 15 percent of profits from the sale of the gin will be donated to the Africa Foundation to support their conservation efforts through the Phinda Wildlife Project. Shop for Indlovu Gin and a wide variety of South African craft gins online via PriceCheck now. Love gin? Check out our list of 5 Best Gins in South Africa at Every Price Point.